My passion has always been working with people desiring to be thinner who have failed at one diet after another. 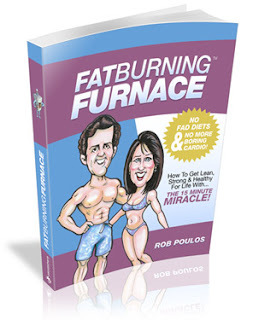 Over the years, I've come to know one thing for sure - permanent weight loss is possible. There is no quick fix however; it takes time and commitment. With support, guidance, and accurate information my clients are able to lose weight and keep it off without unhealthy dieting and deprivation. What they must bring to the table, however, is commitment. Making a strong commitment before beginning a weight loss plan is essential. As basic as it sounds, this important first step is very powerful and should not be overlooked. Of all the successful losers I have worked with over the years, not one has achieved their goal without being truly committed. Below are 5 tips to help you stay committed to your weight loss plan. Tip # 1: Write down your commitment. One of the most commonly used strategies among my clients who have been successful at losing weight is putting their commitment in writing. I suggest using this technique to help you increase your chances of success. Think of your commitment as a very important promise you are making to yourself. Write it down and refer back to it at any point along the way if you feel you are losing focus. This will help to inspire you to continue moving forward. Tip # 2: Learn from your mistakes. Rather than staying stuck in past failures, take time reflect on what went wrong and use this information to make better choices in the days ahead. To paraphrase a famous quote, failure is your best teacher. Rather than being critical of yourself, reframe any past weight loss attempt as a learning experience that brings you one step closer to your goal. It truly doesn't matter how many times you've failed at losing weight before. You need only be successful once in order to achieve permanent weight loss. Tip #3: Stay focused on the positive. Focus on what you're gaining from losing rather than what you are giving up. No doubt, weight loss is difficult. But, not losing is even more difficult. Make a list of all the benefits you will experience from losing weight: improved health, nicer shape, more self-confidence, increased energy, better social life, more attractive clothes, or whatever applies to you. Whenever you find yourself getting negative about your weight loss plan, pull out your list and read it as if you were reading it for the first time. Remind yourself every day, 100 times a day if necessary, of the benefits of weight loss. Tip #4: Plan for success. Set yourself up for success everyday by creating small achievable goals. Staying committed to even one small goal everyday will lead to big success in the days ahead. And remember, success is contagious. The better you do today, the better you feel tomorrow. And the better you feel tomorrow, the better you will do the next day - and so on. Remarkably, this cycle of doing good and feeling good will lead you to your personal best weight quicker than any fad diet. Tip #5: Seek out support. Don't go it alone. Seek out the support of a trusted friend or qualified health professional who is sensitive to your weight issues and health goals. Having a good support system can help you stay true to your commitment and increase your chances of long-term success. 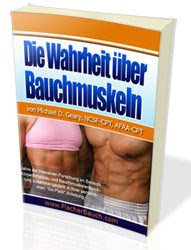 Article closing: With a strong commitment and armed with accurate information, guidance, and support - anyone can achieve permanent weight loss. If you are committed, you can too. Make it happen in 2012!